D.C. Coleman and F.T. Corbin, Introduction and Ordinary Counting as Currently Used. F.R. Warembourg and J. Kummerow, Photosynthesis/Translocation Studies in Terrestrial Ecosystems. D. Harris and E.A. Paul, Techniques for Examining the Carbon Relationships of Plant-Microbial Symbioses. R.P. Voroney, J.P. Winter and E.G. Gregorich, Microbe/Plant/Soil Interactions. F.T. Corbin, T.J. Monaco, and L.A. Bjelk, Environmental Toxicology: Degradation of Herbicides. A. McElroy, Aquatic Toxicology: Degradation of Organic Xenobiotics. T.W. Boutton, Stable Carbon Isotope Ratios of Natural Materials: I. Sample Preparation and Mass Spectrometric Analysis. T.W. Boutton, Stable Carbon Isotope Ratios of Natural Materials: II. Atmospheric, Terrestrial, Marine, and Freshwater Environments. J.R. Ehleringer, 13C/12C Fractionation and Its Utility in Terrestrial Plant Studies. J.N. Gearing, The Study of Diet and Trophic Relationships through Natural Abundance 13C. T.W. Boutton, Tracer Studies with 13C-Enriched Substrates: Humans and Large Animals. R.D. Spence and P.J.H. Sharpe, Intact Organism, Short-Term Studies Using 11C. Index. Carbon Isotope Techniques is a hands-on introduction to using carbon isotope tracers in experimental biology and ecology. It provides an easy bench-top reference with many simple-to-follow protocols for studying plants, animals, and soils. 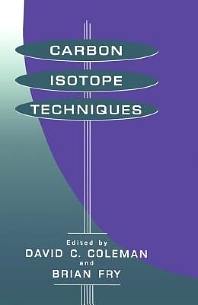 The 11C, 12C, 13C, and 14C carbon isotopes are considered and standard techniques are described by established authors. This is a synthetic compilation of well-established techniques. Researchers and students in a wide range of disciplines spanning plant and soil science, agricultural chemistry, forestry, ecology, oceanography, limnology, biogeochemistry, anthropology, and archaeology will find Carbon Isotope Techniques a valuable resource. Researchers and students in plant and soil science, forestry, ecology, oceanography, limnology, biogeochemistry, agricultural chemistry, anthropology, and archaeology. David C. Coleman has been a lifelong soil ecologist with interests in soil biodiversity and biogeochemical cycling. 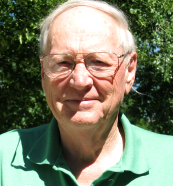 He conducted research at the Savannah River Ecology Laboratory of the University of Georgia (1965-1971), and the Natural Resource Ecology Laboratory, Colorado State University (1972-1985). While there, he also progressed through the ranks from Assistant to Associate and Full Professor of Zoology and Entomology at CSU. From 1985 he has been a Distinguished Research Professor of Ecology in the Institute of Ecology and later the Odum School of Ecology of the University of Georgia. He has been Professor Emeritus since 2005. During the academic year of 1979-1980, Coleman was visiting Research Fellow at the Department of Scientific and Industrial Research (DSIR) Institute of Nuclear Sciences and Soil Bureau in Lower Hutt, New Zealand. David received the Distinguished Service award from the Soil Ecology Society in 1999 and the Distinguished Ecosystem Scientist award from the Natural Resource Ecology Laboratory in 2002. He served on several advisory panels on Ecology and Ecosystems with the National Science Foundation and on an advisory panel on Alternative Agriculture for the National Research Council. His research has concentrated on microbial-faunal interactions in detrital food webs in agroecosystems, e.g, Horseshoe Bend, near Athens, and in forested watersheds at the Coweeta Hydrologic Laboratory in western North Carolina, as part of the Coweeta Long Term Ecological Research (LTER) study. From 1996-2002 he was co-lead PI on the Coweeta LTER project. He was also a McMaster Visiting Research Fellow at CSIRO, Adelaide, South Australia, January-April 2006. David served as co-Chief Editor of Soil Biology and Biochemistry from 1998 to 2010 and serves as its Review Editor currently. He serves on editorial boards of several other soil biology journals. He has published over 300 refereed journal articles and books and is senior author of Fundamentals of Soil Ecology (second edition, 2004), and the author of Big Ecology: The Emergence of Ecosystem Science (2010). The Ecosystems Center, Woods Hole, Massachusetts, U.S.A.
Eldor A. Paul is a Senior Research Scientist at the Natural Resources Ecology Laboratory at Colorado State University, Fort Collins and Professor Emeritus at Michigan State University, East Lansing. During his time at Michigan State, he was professor of Soil Microbiology and Biochemistry, and Crop and Soil Sciences. He earned degrees from the University of Alberta and the University of Minnesota. His research focuses on the dynamics of soil organic matter and the microbial ecology of soil. Dr. Paul is a Fellow of ASA, SSSA, the Canadian Society of Soil Science, and the American Association for the Advancement of Science. Marine Biological Laboratory, Woods Hole, Massachusetts, U.S.A.